24 oz glass bottle with silicone sleeve. 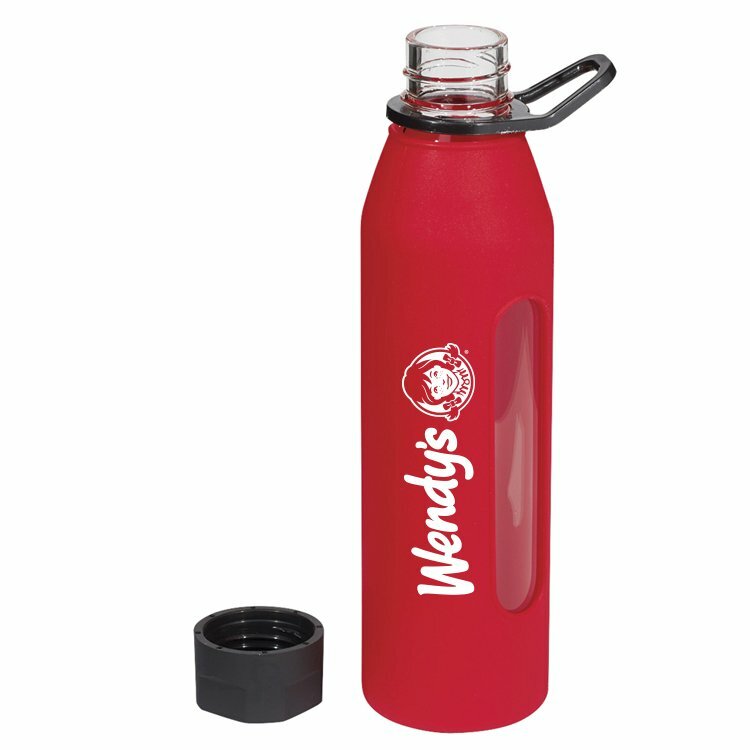 Screw-on, spill resistant lid and convenient carrying handle. For use with cold beverages only, do not microwave.